Get Culture Club essential facts below. View Videos or join the Culture Club discussion. 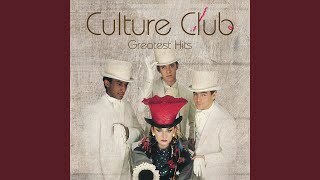 Add Culture Club to your PopFlock.com topic list for future reference or share this resource on social media. Culture Club, 1999. L-R: Mikey Craig, Boy George, Roy Hay and Jon Moss. Culture Club are an English band that was formed in 1981. The band comprised Boy George (lead vocals), Roy Hay (guitar and keyboards), Mikey Craig (bass guitar) and Jon Moss (drums and percussion). They are considered one of the most representative and influential groups of the 1980s. Culture Club sold more than 50 million albums and 100 million singles (including Boy George solo) records worldwide, including 7 million-records awards RIAA certificate in the United States. 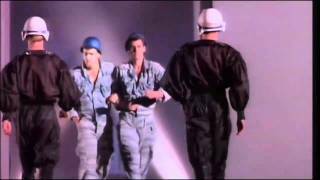 The band had several international hits with songs such as "Do You Really Want to Hurt Me", "Time (Clock of the Heart)", "Church of the Poison Mind", "Karma Chameleon", "Victims", "Miss Me Blind", "It's a Miracle", "The War Song", "Move Away", and "I Just Wanna Be Loved". Boy George's androgynous style of dressing caught the attention of the public and the media. The group, supporters of the synth pop genre, made numerous forays into reggae and showed a strong propensity for the subgenre of ballads. Their second album, Colour by Numbers, sold more than 10 million copies worldwide. It appeared on Rolling Stone magazine's list of the 100 Best Albums of the 1980s and is also included in the book 1001 Albums You Must Hear Before You Die. Ten of their singles reached the US Top 40, where they are associated with the Second British Invasion of British new wave groups that became popular in the US due to the cable music channel MTV. Culture Club's music combines British new wave and American soul with Jamaican reggae and also other styles such as calypso, salsa and country. In 1984, Culture Club won Brit Awards for Best British Group, Best British Single ("Karma Chameleon"), and the Grammy Award for Best New Artist. They were nominated the same year for the Grammy Award for Pop Vocal by Group or Duo but the English rock band The Police won the award. The band were also nominated for a Canadian Juno Award for International Album of the Year. 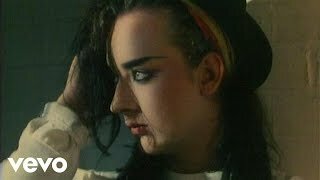 In January 1985, Culture Club were nominated for an American Music Award for Favorite Pop/Rock Band/Duo/Group Video Artist, and in September 1985, they were nominated for two MTV Video Music Awards for Best Special Effects and Best Art Direction for their video "It's a Miracle". In 1987, they received another nomination for an American Music Award for Favorite Pop/Rock Band/Duo/Group Video Artist In the UK they amassed twelve Top 40 hit singles between 1982 and 1999, including the number ones "Do You Really Want To Hurt Me" and "Karma Chameleon", the latter being the biggest selling single of 1983, and topped the US Billboard Hot 100 in 1984. "Time (Clock of the Heart)" is included on the Rock and Roll Hall of Fame's list of 500 songs that shaped rock and roll. Realising they had an Irish gay man as the lead singer, a black Briton on bass, a blond Englishman on guitar and keyboards, and a Jewish drummer, they eventually decided to call themselves Culture Club. The group recorded demos, which were paid for by EMI Records, but the label was unimpressed and decided not to sign the group. Virgin Records heard the demos and signed the group in the UK, releasing their albums in Europe, while Epic Records released their albums in the United States and much of the rest of the world since Virgin did not have a US presence at the time. George began sporting a look inspired by Siouxsie Sioux with "heavy make-up and swaggy hair". The band released two singles in May and June 1982, "White Boy" and "I'm Afraid of Me", though both failed to chart. In August the single "Mystery Boy" was released in Japan. In September of that year, the group released their third single, "Do You Really Want to Hurt Me", a reggae-influenced number, which became one of their biggest hits. The song went to No. 1 in the UK in late 1982 and became an international smash, peaking at No. 1 in over a dozen countries (No. 2 in the US), this track sold up to 6.5 million copies worldwide. The band's 1982 debut on Top of the Pops created tabloid headlines, which focused on George's androgynous style of dress and sexual ambiguity. Magazines began to feature George prominently on their covers. 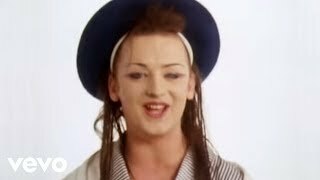 Pete Burns, lead singer of the new wave band Dead or Alive, would later claim he was the first to wear braids, big hats, and colourful costumes, but George would cut back with a sharp-tongued remark, "It's not who did it first, it's who did it better." The band's debut album, Kissing to Be Clever (UK No. 5, US No. 14) was released in October 1982, and the follow-up single, "Time (Clock of the Heart)", became another Top 10 hit in the US (Number 2) and UK (Number 3). "I'll Tumble 4 Ya" also became a Top Ten hit in the US (Number 9) and in Canada. This gave Culture Club the distinction of being the first group since The Beatles to have three Top Ten hits in America from a debut album.Kissing to Be Clever sold over 1.5 million copies in the US, being certified platinum, and sold another 3 million worldwide at the time of its release. The band's second album, Colour by Numbers (UK No. 1, US No. 2), was released in 1983. The first single, "Church of the Poison Mind", featuring backing vocalist Helen Terry, reached the UK and US Top 10. 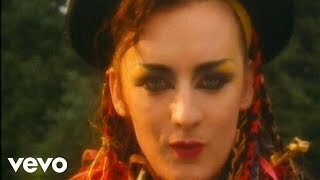 The second single, "Karma Chameleon", gave the band their biggest hit, peaking at No. 1 in the UK (the band's second chart-topper there), where it became the best selling single of 1983 and has sold 1.5 million copies there to date. It also peaked at No. 1 in the US for three consecutive weeks, and would ultimately hit No. 1 in 30 countries, thus becoming one of the top twenty best-selling singles of the 1980s sold up 7 million copies worldwide, with one of the most iconic images of Boy George on the cover shot by photographer David Levine. The album Colour by Numbers would spawn more hits including "Miss Me Blind" (#5 US), "It's a Miracle" (#4 UK, No. 13 US), and "Victims" (#3 UK), and sold four million copies in the US and another five million worldwide at its time of release. The album gave Culture Club the distinction of being the first group in music history to have an album certified diamond in Canada (for sales of one million copies in that country). The band also won the 1984 Brit Award for Best Group and the Grammy Award for Best New Artist, where George gave a speech via satellite stating, "Thanks America, you've got style, you've got taste, and you know a good drag queen when you see one." The group's back-up singer, Helen Terry, began work on her solo album, for which George and Hay wrote the song "Love Lies Lost". The pair also wrote "Passing Friend" for the Beach Boys' album. Culture Club wrote two songs for the soundtrack to the movie Electric Dreams. George and Hay wrote "The Dream" and "Love Is Love", with the latter being released as a single in Canada and Japan, the E.P "Love is Love" became a major hit in Japan. George also collaborated on the song "Electric Dreams", sung by P. P. Arnold. The song was written with Phil Pickett (former member of the 1970s band Sailor) who had also co-written "Karma Chameleon" and frequently played keyboards for the group. Despite Culture Club's commercial success, there were significant pressures within the band. George was using drugs with money from his new-found fame. George and Moss were also romantically involved with each other, which was unknown to the public and the media at the time. Their relationship lasted for over four years and was often turbulent, with alleged physical and verbal abuse. Their constant arguments and the pressure to hide the relationship from the public started to take its toll on the band. In 1984, the group released their third album,sold up 2.8 million copies worldwide Waking Up with the House on Fire (UK No. 2, US No. 26). Although Platinum in both the UK and the US, it was a commercial and critical disappointment compared to their first two albums. The album contained the hit single "The War Song", which reached No. 2 in the UK, and Top 20 in the US. Other singles like "Mistake No. 3" (US No. 33) and "The Medal Song" (UK No. 32) would become modest hits. George later stated he felt the album experienced a lukewarm reception because of half-hearted material he felt they released due to pressure from Virgin and Epic to have a quick follow-up to Colour by Numbers. According to him, the band had just come off an exhausting world tour in 1984, and as a result the fatigue ended up coming off on the album. 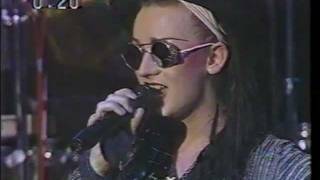 At the end of 1984, Boy George was recruited by Bob Geldof to join the Band Aid recording, consisting of mostly internationally known UK and Irish recording stars. George was in New York City for an appearance on Late Night with David Letterman when Geldof called him, but managed to catch the final Concorde of the day to London and was the last singer to record a lead vocal track for the song "Do They Know It's Christmas?". The song would become the biggest selling single of all-time in the UK and a huge international hit, raising millions for famine victims in several African nations, particularly Ethiopia. Due to all the heartache from the break-up of his relationship with Moss, and all the ensuing tension with rest of the band, George turned to (something then very much out of character for George) relief in drugs. Consequently he soon developed a self-destructive drug addiction, which quickly, in merely four months, escalated from marijuana to heroin. So by this time, 1986 George had become seriously addicted. 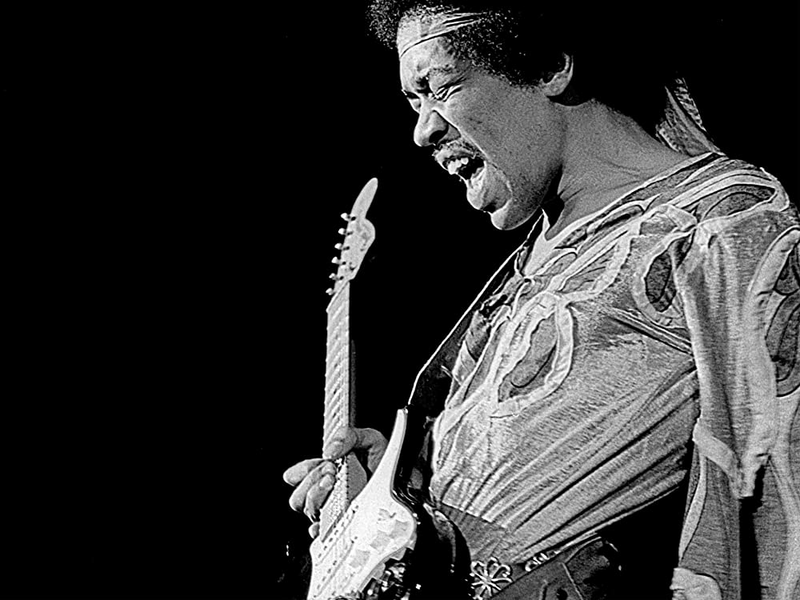 And without Moss by his side, his zest for the band was greatly diminished. The recording of their fourth studio album, 1986's From Luxury to Heartache (UK No. 10, US No. 32) dragged on for so long that producer Arif Mardin had to abandon the sessions due to prior commitments and leave it to engineer Lew Hahn to record the final vocals. Songs like "Gusto Blusto" and "Reasons" took days for the addicted singer to finish. Nevertheless, the first single "Move Away" became a hit, peaking at UK No. 7 and US No. 12. But by the time of the release of the second single "God Thank You Woman", news of George's drug addiction began to circulate in British and American tabloids (but denied by the singer), and the second single failed to achieve the same level of success. George and Moss also no longer wanted to be around each other due to the constant relationship battles, and coupled with George's addiction, a forthcoming American tour had to be cancelled.From Luxury to Heartache began to fade from the charts as well and the album ultimately sold one million copies worldwide, far fewer than their previous albums. By the summer of 1986, George finally admitted that he was indeed addicted to drugs. In July of that year, he was arrested by the British police for possession of heroin. The band broke up and George pursued a solo career, having several European hits and a couple of US Top 40 hits, though George would continue to struggle with his drug addiction for several years. The band first tried to reunite in 1989, after many requests from Tony Gordon, the group's former manager and Boy George's manager at that time. George agreed to try some songs with the band again, resulting in recording sessions and producing more than a dozen songs that are still unreleased to this day. George, however, was more excited about his future projects like his record label, More Protein, and his new acid house project Jesus Loves You. The proposed reunion ended up being cancelled. In 1998, George and Moss put their differences aside and the band reunited to do a reunion tour, kicking off with a performance on VH1 Storytellers. George said about the reunion, "Culture Club's reunion couldn't have come at a better time for rock", adding that, "It's a nostalgia trip, there's no way of avoiding that." The tour was a major success. Greatest Moments, a compilation album based around the Storytellers performance, was released, and went platinum in UK. It included new songs such as "I Just Wanna Be Loved", which hit UK No. 4. However, their new-found success was short-lived and their fifth studio album, Don't Mind If I Do, released in 1999, peaked at No. 64 in the UK. It included minor UK hits in "Your Kisses Are Charity" (UK No. 25) and "Cold Shoulder" (UK No. 43). The band went on to tour, then reunited again for a 20th anniversary concert in 2002 at the Royal Albert Hall in London. This performance was released on DVD the following year. Culture Club then became inactive again, largely due to George's successful DJ career. In 2006, original members of Culture Club Craig and Moss tried to launch a new tour with another lead singer, as George and Hay had declined to tour. Early that year, the band's record company placed an ad for a lead singer to "...take part in a 2007 World Tour and TV Series." The new singer, Sam Butcher was selected because of his own personality, "not a Boy George lookalike." After watching a video on MySpace, George described the singer who replaced him as "terrible" and "dreadful". George said: "I wanted to like it but I couldn't. They're my songs, they're my heart, they're my life." A proposed tour for December 2006 in the UK did not take place. In 2007, Moss stated that the project was shelved. In late 2011, Boy George was part of a three-man Culture Club band that performed two live concerts, in Dubai and Sydney, the latter being a New Year's Eve concert, although Moss did not appear due to a back injury. In 2014, the band reformed and announced a tour and a new album. A new picture of the four members was also posted on the band's official website, along with the list of the 11 UK concert dates. Alison Moyet was to have been a special guest on the concerts. The band travelled to Spain for a two-week recording session. 18 new tracks were completed for a new album produced by Youth (who had previously worked with Paul McCartney, The Verve, and Embrace among others). The new album, entitled Tribes, was scheduled for release in early 2015 on the band's own label Different Man Music (via Kobalt Label Services). At the end of that year the album still hadn't materialised. On 19 July 2014, the band were among the line-up for a two-hour concert in Edinburgh Castle, ahead of the opening ceremony of the Commonwealth Games in Glasgow. Hay did not perform with the band because he was in recovery after having knee surgery. The band played two songs, "Do You Really Want To Hurt Me" and "Karma Chameleon". In mid-November 2014, two days before the start of their 21-date US and UK tour, Culture Club announced they had to cancel the tour due to George suffering from a serious throat condition. The cancelled tour would have represented the full original line-up's first tour in 12 years. The tour was eventually rescheduled and started 17 July 2015, near Vancouver, British Columbia. 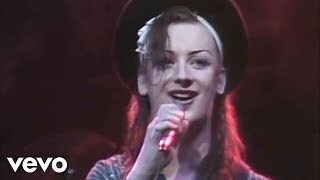 A television documentary, Boy George and Culture Club: Karma to Calamity, aired on BBC Four on 6 March 2015. The programme documented the band's reunion in 2014 and the making of their new album in Spain, up to the announcement to cancel the tour. Based on the popularity of 2015's mini-tour, Culture Club's original members launched a 40-city summer tour in 2016. 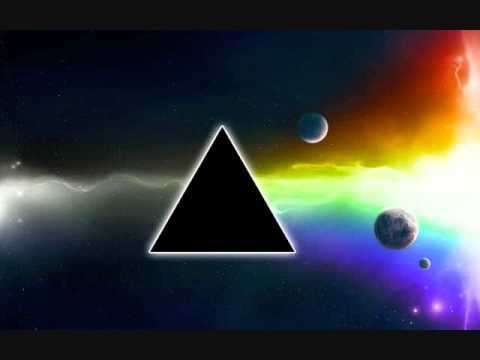 Beginning in Australia, going to Japan, and criss crossing the USA, the band played to enthusiastic audiences of both new and longtime fans who remembered their start 35 years earlier. 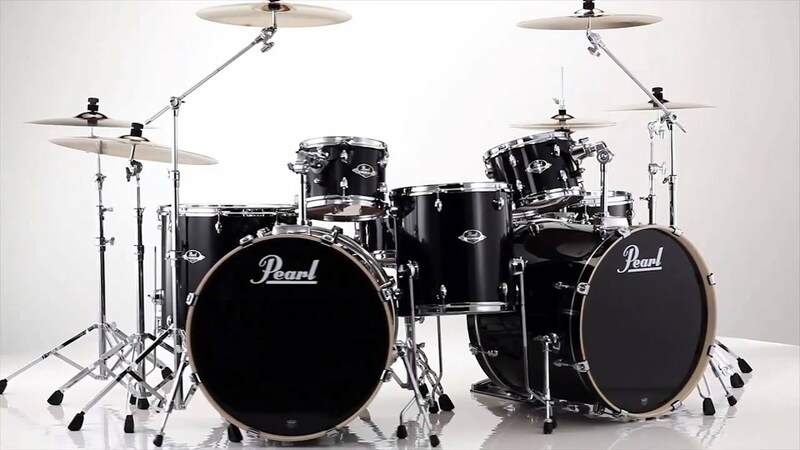 In August 2016, the band announced the album Tribes was to be permanently shelved, and offered refunds to all those who was pre-ordered the album on-line. Culture Club's sound combines British new wave and American soul with Jamaican reggae and also other styles as calypso, salsa or country. Philadelphia Daily News described Culture Club as a hot new rock act, while William K Knoedelseder Jr from Los Angeles Times said about the group, "Boy George of Culture Club, a rock group MTV helped make popular", adding that, "There's some debate in the record industry about MTV's ability to directly increase record sales across the board but there's no doubt that the channel has been responsible for exposing such rock artists as Def Leppard, Duran Duran and Men at Work to a national audience..."
In the 1980s, Boy George said about the music style of his band Culture Club, "We play rock 'n' roll and I love rock 'n' roll music but I don't like the lifestyle. I don't like people tipping beer over their heads.... I just hate rock 'n' roll in that way. It's disgusting and boring. I look at what we're doing as very intelligent." Stephen Holden, music critic for The New York Times, said in his article Rock: British Culture Club, that "Culture Club blends soul, rock, funk, reggae and salsa into a music that programmatically reconciles white, black and Latin styles", adding that, "Mr. O'Dowd made the group's best songs - the Motown-flavoured Do You Really Want to Hurt Me and the Latin-inflected dance tune I'll Tumble 4 Ya - shine like jewels." 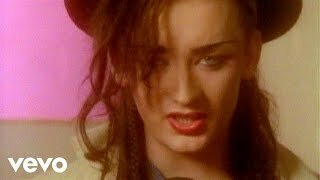 Star-News considered Culture Club as a 'new rock' band of the 1980s; the newspaper said, "Now you see the more rhythm-oriented, 'new rock of the 80s,' like Culture Club and the Eurythmics, fitting in more easily with urban contemporary formats." Stephen Thomas Erlewine, senior editor for AllMusic, described specifically Culture Club as a new wave band and generically as the most successful pop/rock group in America and England during the 1980s, adding that, "By 1986, the group had broken up, leaving behind several singles that rank as classics of the new wave era." The music of Culture Club is described by George as, "The aim is to be creatively fluid to make everything we do a little different. We want to be a bridge between white rock and black soul", adding that, "I want Culture Club to represent all peoples and minorities". 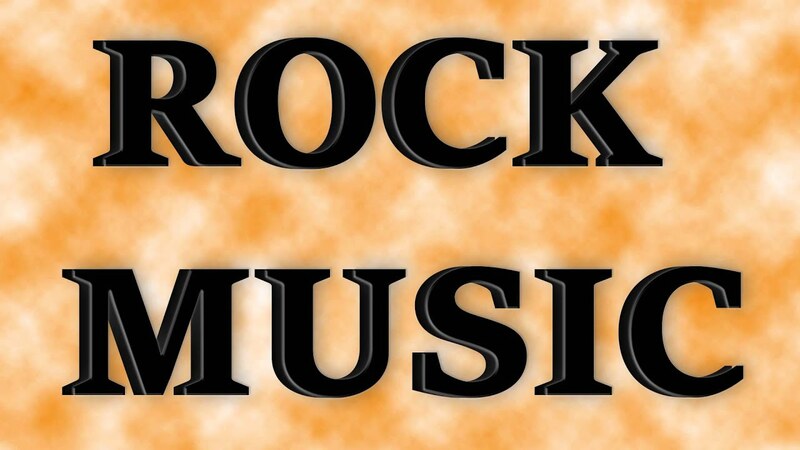 The band was part of the second British rock invasion of the 1980s in the United States, as R. Serge Denisoff and William L. Schurk said in their book Tarnished gold: the record industry revisited, "Here comes the rock and roll of 1984. 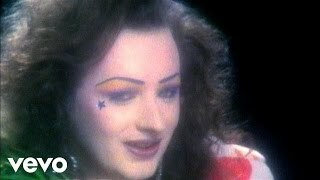 The invaders were a mixed bunch led by Culture Club, whose sound has been described as 'recycled Smokey Robinson' or 'torchy American schmaltz and classic Motown'", adding that, "Boy George's drag-queen appearance made the group a natural for the visual demands of cable television". In her book Magazines for children: a guide for parents, teachers, and librarians, author Selma K. Richardson said that Culture Club's music is soft rock that contains, "enough soul and new wave elements to cover almost all audiences". ^ a b Blackwell, Earl (1986). Earl Blackwell's celebrity register. Times Pub. Group. p. 56. ISBN 978-0-9615476-0-8. Retrieved 2010. ^ Wright, Spencer (30 June 2016). "They really did want to hurt me! Boy George". Daily Mail. ^ a b Cohen, Scott (1984). Boy George. Berkley Books. p. 76. ISBN 978-0-425-07639-2. Retrieved 2010. ^ a b Catlin, Roger (12 August 1998). "Culture Club Reunites, but It May Be Just Nostalgic Fling". Los Angeles Times. Retrieved 2010. ^ a b Warwick, Neil; Kutner, Jon; Brown, Tony (2004). The complete book of the British charts: singles & albums. Omnibus Press. p. 282. ISBN 978-1-84449-058-5. Retrieved 2010. 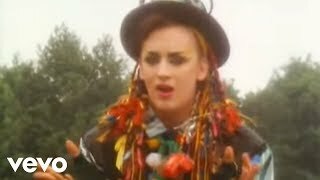 ^ "Boy George slams new club singer". BBC News. 12 October 2006. Retrieved 2011. 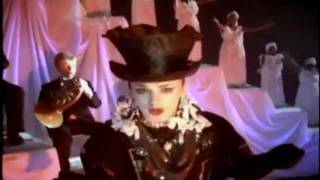 ^ boygeorgeuk.com > News > "CULTURE CLUB TOUR CANCELLED"
^ Rowlinson, John. "New Romantics". Ministry of Rock. Retrieved 2010. ^ Bishop, Pete (5 January 1985). "Culture Club's House on Fire' Is Lightweight Fare". The Pittsburgh Press. Retrieved 2010. ^ "Pop/Rock: Culture Club At The Tower". Philadelphia Inquirer. 1 September 1983. Retrieved 2010. ^ Indiana University (1984). Newsweek, Volume 103, Issues 1-9. Newsweek. Retrieved 2010. ^ "Rocked By Scandal, Ripley Music Hall Rolls Up & Dies". Philadelphia Daily News. 27 June 1984. Retrieved 2010. ^ Knoedelseder Jr., William K. (26 August 1984). "MTV Turning Video Rock into Gold". Los Angeles Times. Retrieved 2010. ^ "A Musician Who Speaks His Mind". Philadelphia Inquirer. 25 March 1984. Retrieved 2010. ^ Holden, Stephen (6 December 1982). "Rock: British Culture Club". The New York Times. Retrieved 2010. ^ "Music". Star News. 12 August 1984. Retrieved 2010. ^ Erlewine, Stephen Thomas. "Culture Club Biography". Starpulse.com. All Media Guide LLC. Retrieved 2010. ^ Moley, Raymond; Muir, Malcolm; Phillips, Joseph Becker; Smith, Rex; Williamson, Samuel Thurston (1983). Newsweek, Volume 101, Issues 18-26. Newsweek. Retrieved 2010. ^ Music Week (4 March 2006). "British invaders set for hard work in US; the latest wave of UK artists keen to make their marks on North America need determination to succeed". Goliath. The Gale Group. Retrieved 2010. ^ Denisoff, R. Serge; Schurk, William L. (1986). Tarnished gold: the record industry revisited. Transaction Publishers. p. 149. ISBN 978-0-88738-618-3. Retrieved 2010. ^ Richardson, Selma K. (1983). Magazines for children: a guide for parents, teachers, and librarians, Volume 7. American Library Association. p. 57. ISBN 978-0-8389-0392-6. Retrieved 2010. Blackwell, Earl (1986). Earl Blackwell's celebrity register. Times Pub. Group. ISBN 978-0-9615476-0-8. Blackwell, Earl (1990). Earl Blackwell's celebrity register. Times Publishing Group. Cohen, Scott (1984). Boy George. Berkley Books. ISBN 978-0-425-07639-2. David, Maria (1984). Boy George and Culture Club. American Library Association. Denisoff, R. Serge; Schurk, William L. (1986). Tarnished gold: the record industry revisited. Transaction Publishers. ISBN 978-0-88738-618-3. Indiana University (1984). Newsweek, Volume 103, Issues 1-9. Newsweek. Moley, Raymond; Muir, Malcolm; Phillips, Joseph Becker; Smith, Rex; Williamson, Samuel Thurston (1983). Newsweek, Volume 101, Issues 18-26. Newsweek. Richardson, Selma K. (1983). Magazines for children: a guide for parents, teachers, and librarians, Volume 7. American Library Association. ISBN 978-0-8389-0392-6. Warwick, Neil; Kutner, Jon; Brown, Tony (2004). The complete book of the British charts: singles & albums. Omnibus Press. ISBN 978-1-84449-058-5. N.B. : Each of the first four songbooks includes a detailed official biography, which is each time updated: this way, such songbooks, corresponding to the band's first four albums, chronicle the early official biography of Culture Club, from 1982 to 1986.